Defending champs #1 D-Backs Headlines (65%) started with some strong competition from Tree in the Infield before pulling away with the lead. #5 “Ben Isn’t Here” (62%) topped Bartolo Colon. 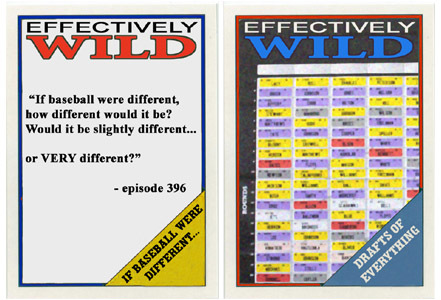 #2 “If Baseball Were Different” (82%) upended the Honda Fit. #3 Market Diner* (81%), perhaps with a strong sympathy vote, blew past Ben-Sam/Sam-Ben. #1 Webb-Albers (93%) had the second-best first-round total, dominating Snowpiercer. #4 Barry Bonds (65%) outhit Bryce Harper. #2 Burn the Ships (68%) conquered Target. And #3 Mike Trout (59%) stormed past Multiples of 5. Voting for the round of 16 ends Sunday night (12a ET), March 13. Next round will be posted Wednesday, March 16. Visit rounds 1A and 1B for more info on the entrants. Visit our Essential Works for links to classic episodes. Thanks for your participation!